Clinova, the makers of O.R.S, the soluble hydration tablets, today announced a three-year agreement as official supplier to the 2016 Prudential RideLondon beginning this year. Prudential RideLondon, the world’s greatest festival of cycling, will see more than 100,000 participants cycle in events over the weekend of 30-31 July 2016. “We can confidently say that O.R.S Hydration Tablets will optimise the fluid balance of the cyclists involved in Prudential RideLondon,” says Yasmin Badiani, Physiotherapist and Head of O.R.S Sport at Clinova. “Staying hydrated is essential for all cyclists, as even low levels of dehydration can have a significant impact on your performance; both mentally and physically. As part of the agreement, O.R.S. 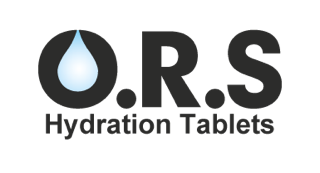 Hydration Tablets will be available on the route of the Prudential RideLondon-Surrey 100, the Prudential RideLondon-Surrey 46 and at Festival Zones during Prudential RideLondon FreeCycle. O.R.S. will also be at the Cycling Show at ExCeL London, the perfect show for connecting and inspiring cyclists of all ages and abilities. “We are looking forward to working with O.R.S over the next three years,” said Hugh Brasher, Event Director for Prudential RideLondon.